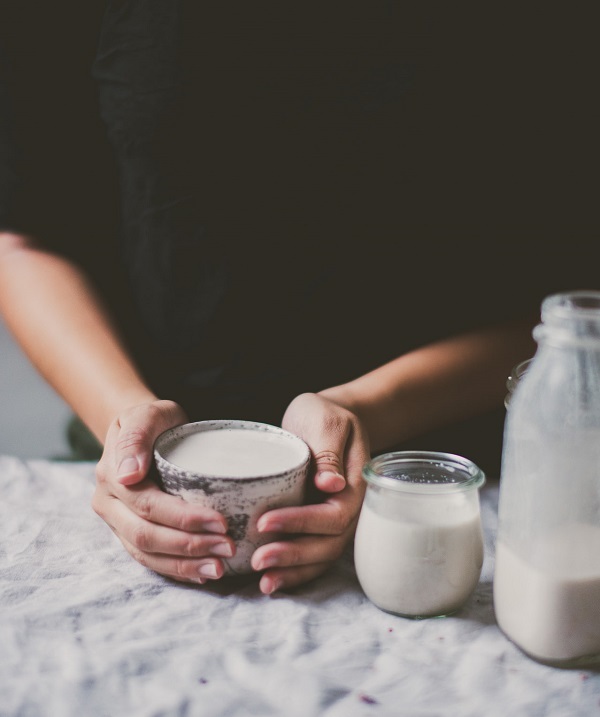 Although many of us buy almond milk religiously, the honest truth is even the fanciest brands don’t taste great, do they? And if you take on the challenge to make your own, you'll quickly realize how fussy and time taking it is with all that soaking and straining. Simply blend 3 tablespoons of organic (or homemade) almond butter with 1 ½ cups of water, 1/8 teaspoon salt, 2 teaspoons maple syrup, and 1/4 teaspoon vanilla extract. Not only you’ll save time and money, but this version also tastes delicious - so much richer, creamier and something that you'll actually want to sip. Love! P.S: Have you tried this rose milk tea yet? Not only the taste but also the stuff that's added to store-bought almond milk rubs me the wrong way! Homemade is so much easier, tastier and you know what's in it as well!